Out with the new…in with the old! The cherished art of plastic canvas is something that will never go out of style. Cheap, easy to use, and easy to find, this crafting medium allows creative minds to do all kinds of artistic designs…from simple pins to lovely tissue box covers. 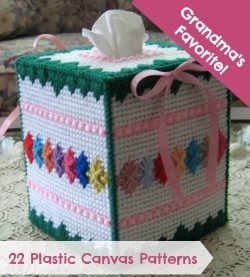 In this collection of 22 Plastic Canvas Patterns, you’ll find all kinds of creative plastic canvas ideas…including decorative tissue box covers, clever gift ideas, and even a few holiday crafts to help get you in the mood for Christmas. Even if you’ve never crafted with plastic canvas before, you’re bound to find an easy pattern in this collection to help you get started! Get started with the Plastic Canvas Gift Ideas. Filled cute pins and coasters, this collection is a great place for beginners to learn about how to craft with plastic canvas. The Bunny Plastic Canvas Coasters are great for newbies, and they are a fun gift for anyone on your list. Once you get the hang of it, you can move on to the Shells and Ribbon Tissue Box that would be great to make for Mother’s Day or grandma’s birthday. Finally, get in the holiday spirit with the Star Snowman Ornament. Perfect for using as a holiday decoration or gift tag, this sweet plastic canvas craft will have you in the Christmas spirit in no time! No matter what you’re in the mood to make, you’re sure to find something in this collection of 22 Plastic Canvas Patterns! PLUS…we have a special bonus for you! Scroll on down to the bottom to see what it is! Make gifts for everyone on your list with this collection of plastic canvas gift ideas! See even more plastic canvas gift ideas! Great for decorating a bathroom or guest room, these tissue box covers are fun and easy to make! See even more plastic canvas tissue box covers! Get in the holiday spirit with these adorable plastic canvas patterns for Christmas! See even more plastic canvas patterns for Christmas! BONUS! 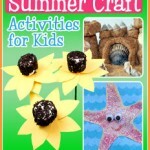 We’re giving away a set of awesome plastic canvas books from Leisure Arts! 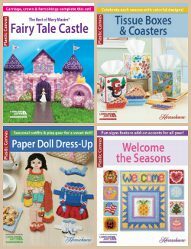 Made up of 4 fabulous titles, including Paper Doll Dress Up, Welcome the Seasons, Fairy Tale Castle, and Tissue Boxes & Coasters, this collection is a plastic canvas lovers dream! You have until July 4th to enter, and you can enter to win once a day…so the more you return, the greater your chances of winning this awesome giveaway! Head on over to the giveaway page and register to win today! Good luck! When was the last time you picked up a new hobby? It is so easy to fall into the same patterns every day—whether it’s your career, your kids (or grandkids), or even the same crafts and activities that you’ve perfected, it’s human nature to let yourself stay firmly in your comfort zone. Recent studies have shown, however, that breaking out of those ruts can help us not only break new ground in our own lives, but may actually help prevent memory loss. 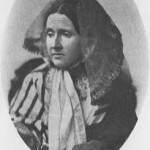 Dr. Denise Park from University of Texas at Dallas found that his subjects, all older individuals, made great gains in memory retention after they had learned a new skill, be it photography, computer science, or even quilting! “We found quite an improvement in memory, and we found that when we tested our participants a year later, that was maintained,” Park told NPR earlier this week. As obvious fans of quilting, we couldn’t agree more with this assessment. 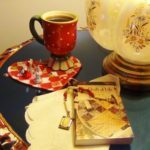 Hobbies like crafting and quilting require use of your whole brain—the creative side, envisioning patterns and designs, and the technical, mathematical part of actually putting the craft or quilt together. It’s no wonder this mental workout improves memory! It’s not often that we here at FaveQuilts encourage our readers not to quilt, but why not branch out a little? The best thing about the world of crafting is that there are always new avenues to explore. Make an amazing little tissue box with the plastic canvas Hearts and Flowers Tissue Box or light up a room with the Scrap Ribbon Lamp. Not thinking big enough? Take up glasswork with the Faux Stained Glass Window! The important thing is to try something new, whatever that may be. Let no hobby or craft be too big or too small. 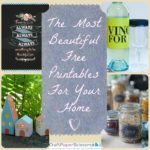 Even something like the Pansy Ball Jar, which is so simple to put together but looks so beautiful wherever you put it, is a great way to exercise your brain and get something totally delightful out of the deal. 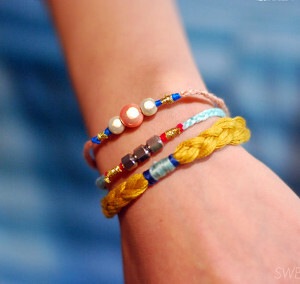 If DIY home decor isn’t your thing, why not try beading and jewelry? This is one of those creative skills that is fun to do, looks wonderful, and lasts forever. How can you resist a statement piece like the Bright and Tassled Beginner Bracelet or these adorable Flirty Spring Rings? 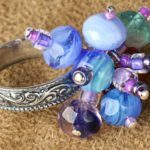 Learn the basics of DIY jewelry making and you are setting yourself up for a lifetime of fun with fashion. Gorgeous, easy necklace tutorials like the Silver Shade Bead Necklace and the Classic Daisy Chain are the perfect way to play around with techniques you already know by building on a built-in knowledge base. Paper Crafts for Kids … and For You! Learning a new hobby can be pricey, but with just a little ingenuity you can sidestep the heavy bill. From paper plate crafts to toilet paper roll crafts, there is no shortage of things to make with inexpensive materials. 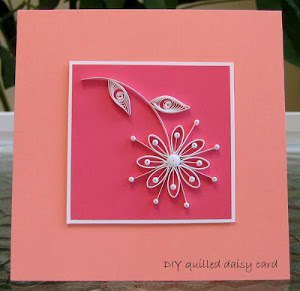 This Simple Quilled Daisy Card has a simple process but a beautiful, understated look. For something a little more bold, try the Crepe Paper Tulips, which will turn any room into paradise. As it turns out, it really doesn’t matter what you make … as long as you’re making something. Challenge yourself to learn something new. And you never know—leaving that quilt project that’s had you stumped for weeks to brighten up your kitchen with easy DIY paper flowers just might shake loose your quilter’s block and allow you to sew forth with ease! Of course, if you’ve never quilted before… well, now seems like a pretty good time to start. Your brain will thank you! When was the last time you took up a new hobby? We thought we’d show off some of our favorite angel craft projects from FaveCrafts.com. So which one’s your favorite?? Leave a comment below – one lucky commenter will receive a Gift from Santa’s Sleigh. Hurry. You only have until Midnight central time to enter. Tomorrow will be another day, another featured project, and another giveaway! Tissue manufacturers try their best to make cute designs on their tissue boxes. However, their best just isn’t good enough. If I ever see another mauve paisley tissue box, I just might scream. Plus, no matter how cute your tissue box is, it’s still made out of cardboard. 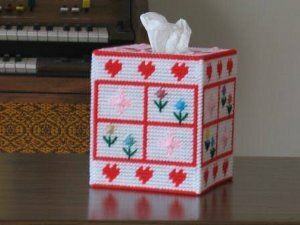 If you’re into plastic canvas patterns, making a cute tissue box cover is a cinch. 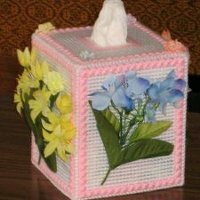 Window Frame of Flowers Tissue Box Cover: This cover is for those who love too many colors. 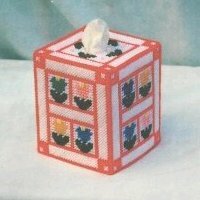 Stitch a flower of every color inside each “window frame” on this tissue box. 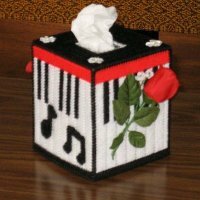 Music and Flowers Tissue Box Cover: Stitch a piano vignette and attach a romantic rose to this tissue box cover and give to your tango partner! Framed Flowers Tissue Box Cover: A great spring home decor accent, the framed flowers tissue box cover features silk flower embellishments for a unique, 3-D look. 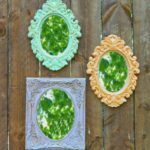 Check out our other home decor craft projects! When first asked if it was possible to use a cross-stitch chart as a plastic canvas chart I thought the process would be so easy that there was no need for explanation at all, however, I always do my research and never assume anything! Although it is not a difficult switch, it is one you do need to think about before just jumping in. Cross stitch is made of basically of a right angled half stitch and a left angled half stitch used together to create that X stitch. Plastic canvas these same stitches as the Continental and Alternating Continental (when crossed these two stitches create the Cross Stitch) along with Scotch Stitch, Slanting Gobelin, and Long Stitch. Many cross-stitch charts can be used as is, you decide if you want to use only the slanting stitches or a full cross-stitch. Experts say to check all diagonal lines within the pattern or design. Diagonal lines slanted up and to the right translate well when converting from cross-stitch to plastic canvas. 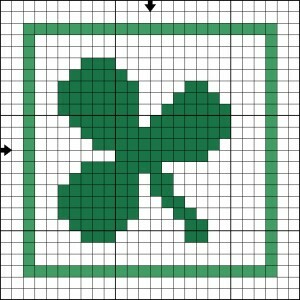 If you want to convert a cross-stitch pattern to a plastic canvas pattern, it’s best if there are not a lot of back or decorative stitches to be done, unless you can complete the pattern without using these stitches. So take a good look at any photos of the finished pattern or any symbol charts. 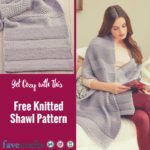 You should also keep in mind that a majority of cross-stitch patterns or designs use the material or fabric used as the background whereas in plastic the entire pattern or design is stitched. If converting a cross-stitch pattern into a plastic canvas design you’ll need to decide if you are going to want to stitch the background. Any filling plastic canvas stitch can be used. Most experts agree that it’s best to start at the center of a design and work out. National Sewing Month left many of you crafters craving other ideas for what to do with your needles. You asked for more plastic canvas and more free embroidery patterns, so we found them for you. For Halloween, use plastic canvas to create a Glow-in-the-Dark Bag for trick-or-treaters or spooky home decoration. Complete a Halloween costume with a plastic canvas mask. A simple to make Pumpkin Patch Pin adds great color to any autumn outfit (shown). If you prefer cross-stitch, create an Autumn Leaves Table Runner from waste canvas, with matching Leaf Placemats. This colorful set is perfect for autumn entertaining. You can also get started on this beautiful cross-stitch Christmas Angel for holiday decorating. If you’d like to embroider some of those great sewing projects from last month, check out the patterns below or all our embroidery patterns here. We have received a number of inquiries recently about plastic canvas patterns. For those of you who are not familiar with the medium, plastic canvas is a lightweight plastic with holes that is used for needlepoint or cross-stich. In our needlecraft category on FaveCrafts, we have an entire subcategory dedicated to plastic canvas that is growing each week. 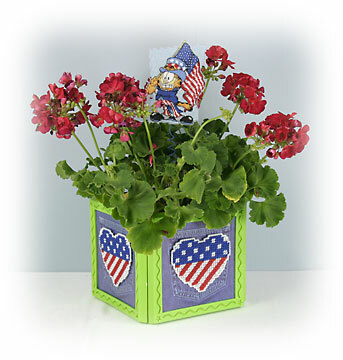 Our plastic canvas projects include a 4th of July Planter (pictured below), pins, bookmarks and several more. 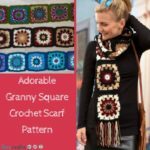 Check out the needlecraft category for these and related projects and please write to us and let us know what you would like to more of!